Modern measurement and control systems invariably use digital technology. Hence sampling and data compression arise as important tools in all aspects of modern control and signal processing. This talk will discuss various aspects of sampling and data compression. Topics to be covered include design of anti-aliasing filters, models for sampled data systems, up-sampled models, hybrid models, nonlinear models, sampled data nonlinear filtering, data quantization and data transmission over bit-rate constrained communication channels. Graham Goodwin obtained a B.Sc (Physics), B.E (Electrical Engineering), and Ph.D from the University of New South Wales. 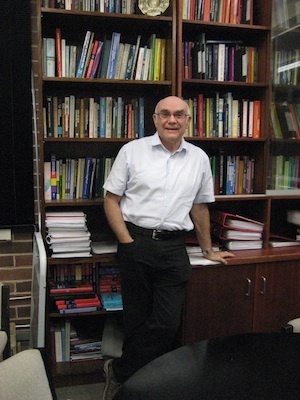 He is currently Professor Laureate of Electrical Engineering at the University of Newcastle, Australia and is Director of an Australian Research Council Centre of Excellence for Complex Dynamic Systems and Control. He holds Honorary Doctorates from Lund Institute of Technology, Sweden and the Technion Israel. He is the co-author of eight books, four edited books, and many technical papers. Graham is the recipient of Control Systems Society 1999 Hendrik Bode Lecture Prize, a Best Paper award by IEEE Transactions on Automatic Control, a Best Paper award by Asian Journal of Control, and 2 Best Engineering Text Book awards from the International Federation of Automatic Control in 1984 and 2005. In 2008 he received the Quazza Medal from the International Federation of Automatic Control. He is a Fellow of IEEE; an Honorary Fellow of Institute of Engineers, Australia; a Fellow of the International Federation of Automatic Control, a Fellow of the Australian Academy of Science; a Fellow of the Australian Academy of Technology, Science and Engineering; a Member of the International Statistical Institute; a Fellow of the Royal Society, London and a Foreign Member of the Royal Swedish Academy of Sciences. In this lecture, we study the PageRank computation for the Google search engine. In particular, we introduce this problem discussing the so-called random surfer model and the teleportation matrix. Subsequently, we present new distributed randomized algorithms (of Las Vegas type) for an efficient PageRank computation, and show their main features related to the theory of positive matrices. We also study relations between the PageRank computation and consensus of multi-agent systems, and we outline connections with sensor networks. Finally, we describe extensions of these results to multiple random updates of web pages, aggregation of web pages, and robustness issues in the presence of fragile web links. Roberto Tempo was born in Cuorgne', Italy, in 1956. In 1980 he graduated in Electrical Engineering at Politecnico di Torino, Italy. 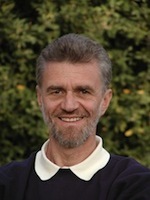 After a period spent at the Dipartimento di Automatica e Informatica, Politecnico di Torino, he joined the National Research Council of Italy (CNR) at the research institute IEIIT, Torino, where he is a Director of Research of Systems and Computer Engineering since 1991. He has held visiting and research positions at Kyoto University, University of Illinois at Urbana-Champaign, German Aerospace Research Organization in Oberpfaffenhofen and Columbia University in New York. Dr. Tempo's research activities are mainly focused on complex systems with uncertainty, and related applications. On these topics he has given plenary and semi-plenary lectures at various conferences and workshops, including the European Control Conference, Kos, Greece, 2007 and the Robust Control Workshop, Delft, The Netherlands, 2005. He has been an invited speaker at the NATO Lecture Series on Advanced Autonomous Formation Control and UAV Applications, University of Strathclyde, UK, University of Pamplona, Spain and Case Western Reserve University, Cleveland, 2008. Dr. Tempo is author or co-author of more than 150 research papers published in international journals, books and conferences. He is also a co-author of the book Randomized Algorithms for Analysis and Control of Uncertain Systems, Springer-Verlag, London, 2005. He is a recipient of the "Outstanding Paper Prize Award" from the International Federation of Automatic Control (IFAC) for a paper published in Automatica, and of the Distinguished Member Award from the IEEE Control Systems Society. He is a Fellow of the IEEE for Contributions to Robust Identification and Control of Uncertain Systems and a Fellow of the IFAC for Contributions to the Analysis and Control of Uncertain Systems, for Pioneering the Probabilistic Approach to Robustness. Dr. Tempo is an Editor and Deputy Editor-in-Chief of Automatica. He has been Editor for Technical Notes and Correspondence of the IEEE Transactions on Automatic Control in 2005-2009. He has served as member of the program committee of several IEEE, IEE, IFAC and EUCA (European Union Control Association) conferences, and as Program Chair of the first joint IEEE Conference on Decision and Control and European Control Conference, Seville, Spain, 2005. He has been Vice-President for Conference Activities of the IEEE Control Systems Society during the period 2002-2003 and a member of the EUCA Council in 1998-2003. He is currently President of the IEEE Control Systems Society. Mechatronics technologies are now steadily penetrating in our daily lives. In particular, mechatronics devices may improve the quality of life of elderly people and patients with impairments. In this talk, several key technologies that we have developed for rehabilitation and mobile assistive systems for such people in walking are presented. Specific topics include: 1) smart shoes for measuring the ground contact forces, 2) signal processing algorithms to identify the phases of the normal gait and abnormal gait patterns from the outputs of the smart shoes, 3) a compact back drivable actuator, Rotary Serial Elastic Actuator (RSEA), to provide assist torques to human joints, 4) a fictitious variable gain (FVG) method for the control of assistive devices, and 5) a prototype mobile gait monitoring system (MGMS) to provide to assist patients in rehabilitation. 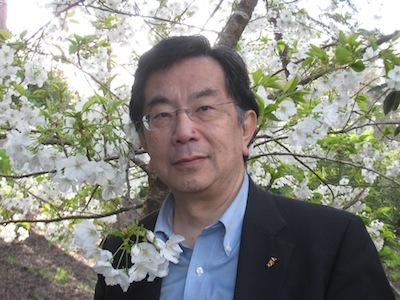 Masayoshi Tomizuka was born in Tokyo, Japan in 1946. He received his B.S. and M.S. degrees in Mechanical Engineering from Keio University, Tokyo, Japan and his Ph. D. degree in Mechanical Engineering from the Massachusetts Institute of Technology in February 1974. In 1974, he joined the faculty of the Department of Mechanical Engineering at the University of California at Berkeley, where he currently holds the Cheryl and John Neerhout, Jr., Distinguished Professorship Chair. At UC Berkeley, he teaches courses in dynamic systems and controls. His current research interests are optimal and adaptive control, digital control, signal processing, motion control, and control problems related to robotics, vehicles, bioinspired sensing and actuation, and mechatronic systems including those interacting with human. He served as Program Director of the Dynamic Systems and Control Program of the National Science Foundation (2002-2004). He served as Technical Editor of the ASME Journal of Dynamic Systems, Measurement and Control, J-DSMC (1988-93), Editor-in-Chief of the IEEE/ASME Transactions on Mechatronics (1997-99), an Associate Editor of the Journal of the International Federation of Automatic Control, Automatica. He served as President of the American Automatic Control Council (1998-99). He is a Fellow of the ASME, the Institute of Electric and Electronics Engineers (IEEE) and the Society of Manufacturing Engineers. He is the recipient of the J-DSMC Best Paper Award (1995), the DSCD Outstanding Investigator Award (1996), the Charles Russ Richards Memorial Award (ASME, 1997), the Rufus Oldenburger Medal (ASME, 2002) and the John R. Ragazzini Award (2006).